I was going through some photos recently and came across this one of The Feed Store Church, which is between Alamosa and Monte Vista, a rural area in southern Colorado. 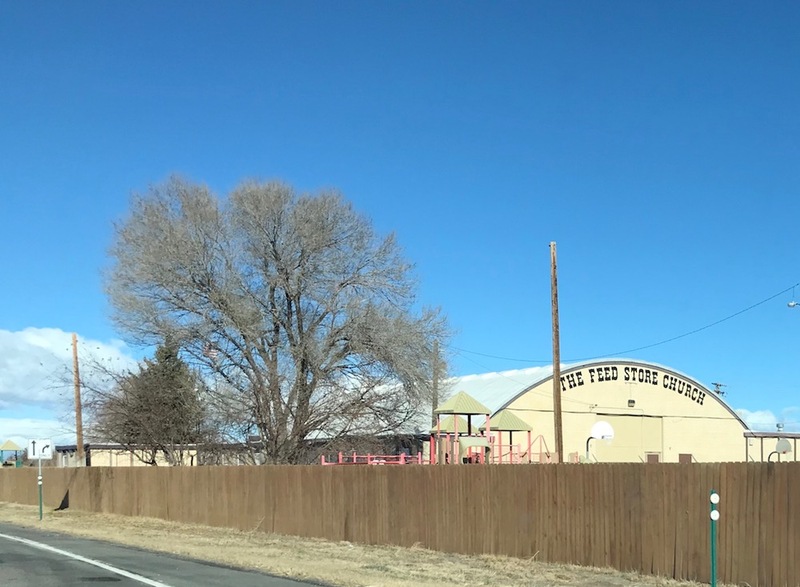 I pass it when I drive back home after visiting Taos, Los Alamos, and Santa Fe, New Mexico. I thought it was some sort of a combination of a feed store and a church, but it turns out that it’s a church.